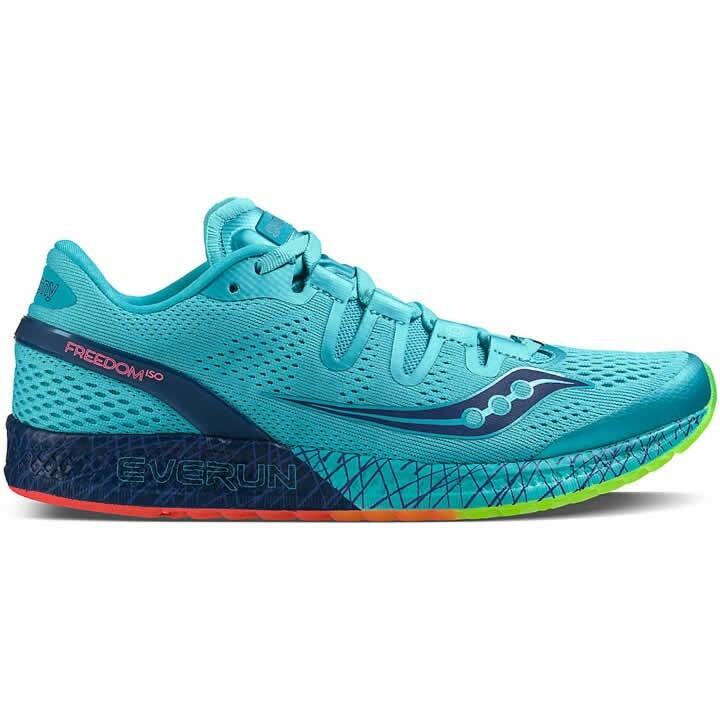 The Freedom ISO is Saucony's first shoe to offer a full midsole of EVERUN Continuous Cushioning. For even more energy return, more responsiveness, more cushioning and a more amazing run from your first step to your last. The ultimate in cushioning and flexibility for those with biomechanically efficient strides. Highly Durable TRI-FLEX Crystal Rubber: Serves a dual purpose of providing great traction and durability with increased flexibility to give you a fluid feel. Also, it's very easy on the eyes.